bring the yarn to the front of the work and purl the same stitch. Without passing the stitch to the right-hand needle bring the yarn behind your work and knit it again. Now you can pass the stitch to the right-hand needle. Now you have three stitches—a knit, a purl, and a knit. Leave the rest of the stitches on hold, turn your work, and purl these three stitches. Turn your work and knit the three stitches. Turn the work again and purl three. 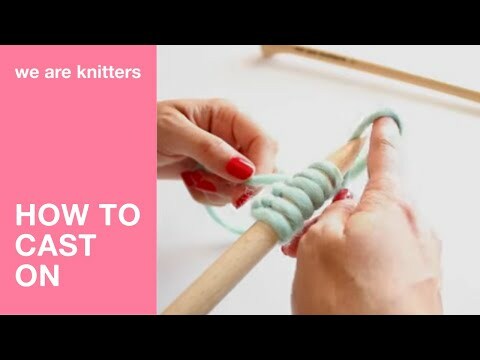 Knit the three stitches together to close the bobble so that only one stitch remains.You have now worked a bobble.Continue knitting the number of stitches you want between each the bobble. Whenever you want to make a new bobble, you will have to repeat all the previous steps.On the wrong side rows, purl all stitches.Between bobble rows, knit a few rows to separate the bobble so they stand out more.